There is a political agenda and no viable solution. 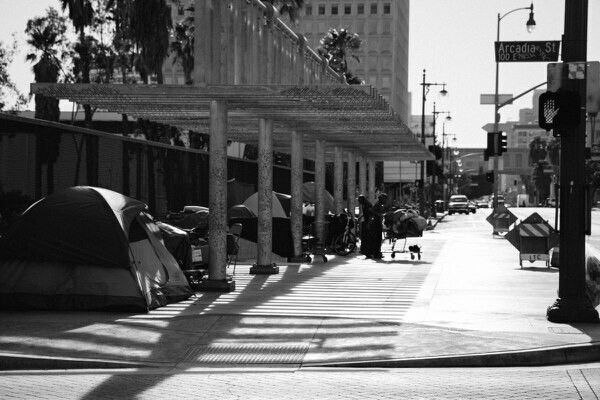 In September, Los Angeles City Council President Herb Wesson called for a "state of emergency" on homelessness to secure federal funds and combat the growing urban epidemic. Contrary to initial reporting by some media outlets, the idea never became a formal declaration — It was later stated that Los Angeles Mayor Eric Garcetti had the authority to declare an SOE but didn't support the efficacy of FEMA reserves to solve the problem. 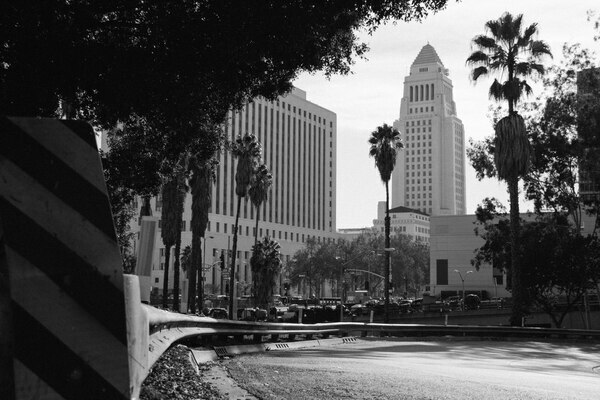 While some politicians agreed with Garcetti, others saw the move as lost potential. "My feeling from the beginning of this is that we need every possible tool in the toolbox," Westside Councilman Mike Bonin told the Los Angeles Times. "It needs to be all hands on deck and I would love to see a healthy flow of federal or state resources." Garcetti's decision to delay federal support comes as a by-product of his efforts to play same-page politics and unite the City Council and other public stakeholders around a common strategy. "For once, they actually want to do a really comprehensive plan that has buy-in from everybody so that there won't be the stumbling blocks that have doomed earlier ones," said Gale Holland, a beat reporter on homelessness and poverty for the Times. Much of this plan is expected to come to fruition during January and February of next year, according to the mayor's office. 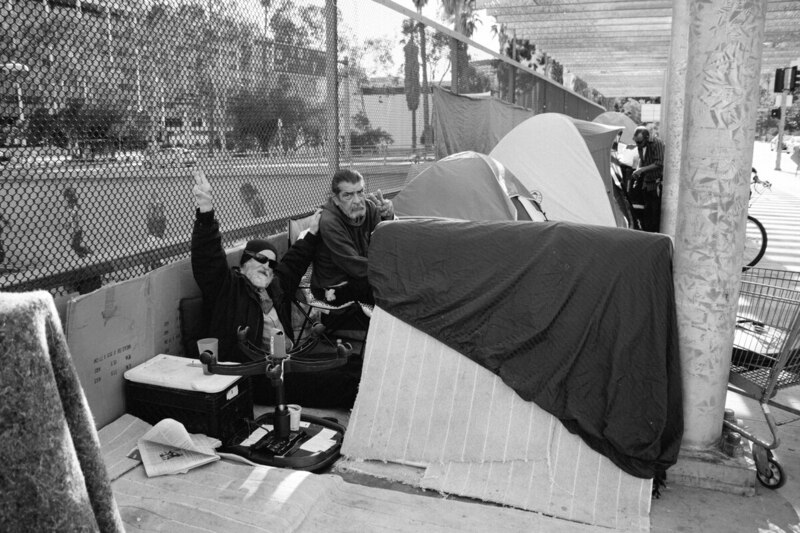 But Gary Blasi, a professor at UCLA who has studied the homeless population for much of his career, said an actual resolution to the problem is unlikely based on several failed attempts over the last nine years. "The way we deal with homelessness in Los Angeles is, whatever you think of it morally and politically, just stupid," Blasi said. "We spend a lot of money to no effect." He also said that politicians have very little reason to support ideas that have little effect on voting patterns. "Nobody ever lost an election because they didn't do enough for homelessness," Blasi said. A report released by City Administrative Officer Miguel Santana in April showed that out of $100,000 spent on homelessness each year, as much as $87,000 goes to LAPD activities such as skid row patrols, arrests, and mental health interventions. "Law enforcement has managed it as a criminal or legal issue versus as an issue of housing and services," said Eric Ares, communications coordinator for L.A. Community Action Network, in an earlier interview. "They are doing their job, but are not the best equipped to deal with trying to solve the issue of homelessness." ​​With years of budget cuts plaguing LAPD, the likelihood of transferring these funds to another department is unlikely. "Transferring funds from one bureaucracy to another is not going to happen," Blasi said. "The city has to find other sources." 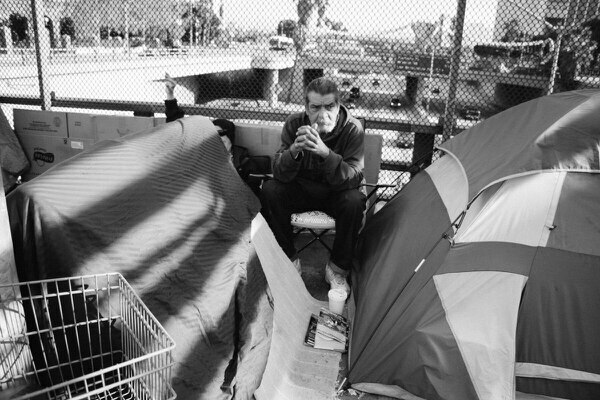 L.A. County is responsible for the overall health budget in the area and has seen greater success allocating funds from its budget to homelessness. However, a lot of this is spent on crisis intervention, according to Holland. "It's the same people over and over," she said, referring to homeless people involved in various situations that required quick responses from officials. One thing is clear: for the City of Los Angeles to benefit from its bigger brother's budget, it must work in synergy going forward. And don't forget about the folks in Washington D.C. But the SOI does little to keep authorities from enforcing a slew of laws during the day — some of which cover sitting on the sidewalk and how close an individual can be to a business entrance. "What the city's 'ideal' would be is that the homeless people can put their tents or sleeping bags out at night, but pack them all up and go somewhere in the day," Holland said. "It's impossible to walk around all day though." A report by the National Law Center on Homelessness and Poverty determined that providing housing is cheaper than serving penalties and jailing homeless people. It found that permanent housing and case managers would save taxpayers $149 million in reduced law enforcement and medical care costs over the next decade. The federal government intervened in many homelessness epidemics across the country under Phil Mangano, former executive director of the Interagency Council on Homelessness, during President George W. Bush's tenure. ​But Los Angeles could never see eye-to-eye on a viable solution, leaving the area without the fed's help, according to Blasi. "Relatively speaking, we don't have a bigger problem than anyone else," Blasi said. "What we have are fewer political resources for politicians who feel obligated to do their current job as opposed to prepare their next campaign." For much of its existence, Los Angeles has attracted musicians, actors and big companies from all over the world looking to make it big. But for many, the advent of economic growth after the Great Recession translated into increased rates of gentrification across the city. "The recent recovery has transformed a lot of what were once affordable rental neighborhoods into completely unaffordable, kind of hipster, enclaves," said Holland. A new study from UCLA's Luskin School of Public Affairs found Los Angeles to be the least affordable rent market in the country. "We are not the poorest city, but in comparison to our rents, we are," said Holland. Most people are spending more than 50 percent of income on rent, and as a result, many of them cannot afford daily living expenses and end up on the street. Nearby residents often issue complaints about trash left behind by the homeless. Holland said that the city is always cleaning up these areas in response, but often takes their belongings in the process. Individuals will move from site to site on a regular basis to prevent this from happening, often trying different neighborhoods and cities altogether. 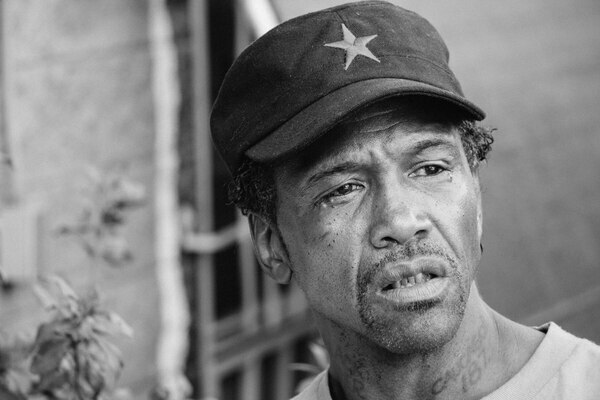 "It's crazy to be moving around like that all the time," said General Dogon, a Skid Row resident and civil rights organizer for L.A. CAN. "What you gonna to do? Just wait around and let them take your stuff?" 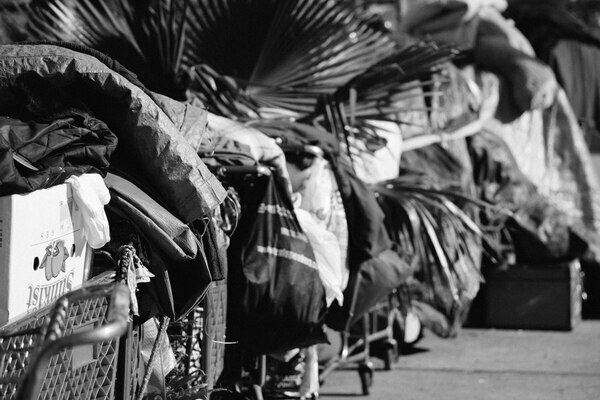 Los Angeles has the largest population of chronically homeless people in the country, according to a 2015 count by the Los Angeles Homeless Services Authority. Equal in number is the amount of mentally ill individuals on the street. Many of them are both. 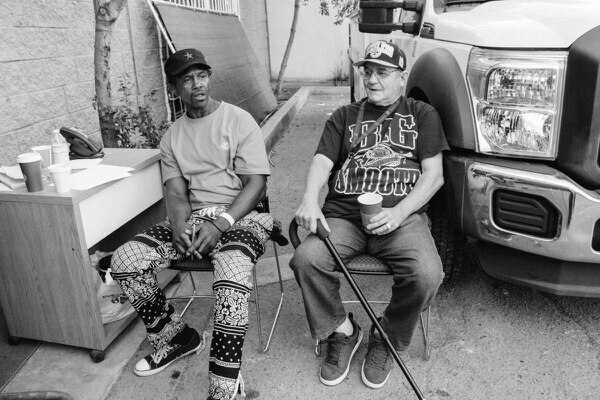 Permanent supportive housing, or housing that includes case management and mental health counseling services, is sometimes offered, when available, to homeless individuals who have mental disabilities. But most are not able to keep their living arrangements because of ongoing troubles not limited to health issues. "There is a constant churn of homeless people going between jail and skid row," Holland said. "Even when they're not drug addicted or otherwise unable to work, they have a lot of barriers to getting housing and work because of their records." Almost every weather model is predicting a strong El Nino to hit the pacific coast this winter. In response, the City Council declared a "shelter crisis" in November to provide temporary housing in parking lots and public buildings. This followed the L.A. County Board of Supervisors' pledge in October to increase winter shelter beds to more than 1,400. Despite efforts from both city and county to mitigate the housing problem, it will barely scratch the surface: there are over 31,000 homeless people who need shelter countywide, according to LAHSA, and the declaration only applies to overnight use. So, many individuals will be stuck settling under trees and at the banks of the L.A. River at a time when rushing waters and possible flooding could drown them. "There is a big concern that the homeless people who do take refuge there have done so for years and they don't actually understand how [El Nino] works," Holland said. The last time an El Nino close to the projected strength of this one took place was in 1998. Even then, strong rain in 2014 alone forced firefighters to make rescues on two separate occasions — one of which involved a homeless couple. The big problem: individuals have to wait in line each day hoping for a spot in overnight shelters at various locations. But there is no guarantee that they will stay dry for more than a night. "That just means you have a place where you're probably not going to freeze tonight, but you still might freeze to death in the daytime, particularly if it's raining," Blasi said. "If they don't find a way to keep people dry, a lot of people are going to die." In some places, you are not allowed to have more than one cubic foot of material with you at any time, according to Blasi. So, homeless people constantly have to weigh whether shelter is more important than their belongings, some giving up everything to the streets just to get one night in a public building. "There is a heavy price to pay if you're homeless…if you have anything," Blasi said. 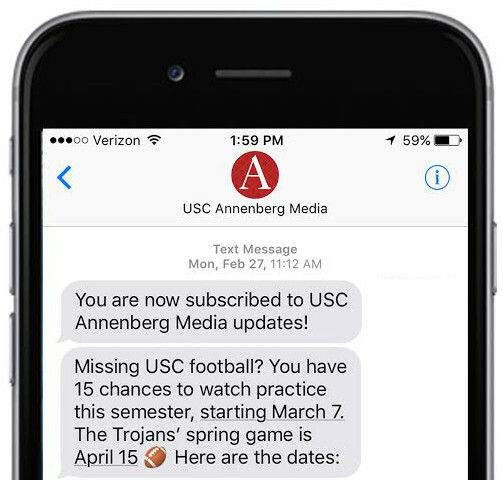 "I'm still willing to suspend my disbelief that they will actually do something, but at this point, we've had nothing but misleading press releases at best," Blaisi said. "I would love to be surprised, but I'm not waiting for anything." 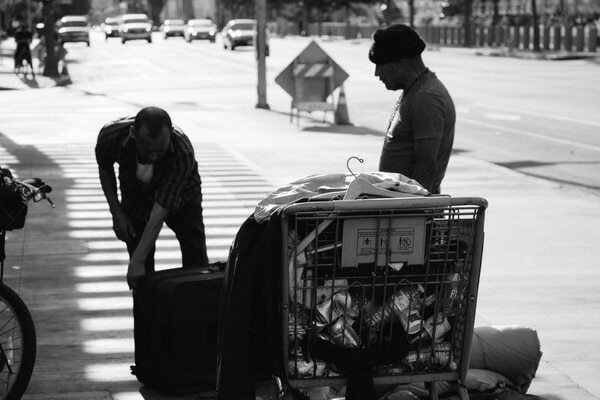 The homelessness epidemic in Los Angeles is massive and will require city, county and federal governments to collaborate for lasting changes to take place. Everyday people also have to be willing to support and contribute to various causes. "If everybody had a family that could help them out, there wouldn't be so many homeless people," Holland said. But count on individuals like General Dogon to continue helping clean up the streets regardless of what the politicians decide to do. "We just need the resources man and they don't have to do anything with them. Just give them to us," Dogon said. "We know the land better than any one of these guys."